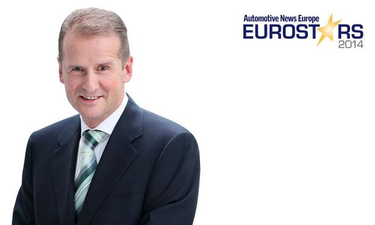 CAREER HIGHLIGHTS: Started his current job in 2012 after serving as BMW's purchasing boss for four and a half years. Prior to that he was director of BMW's motorcycle unit (2003-2007) and head of the Mini plant in Oxford, England (2000-2003). The Munich-born executive joined BMW in 1996 from Robert Bosch, where he rose to general manager of the supplier's generator production plant in Treto, Spain. REASON FOR WINNING:Diess and his team deserve credit for a number of bold technical solutions used in BMW's new "i" models, such as the heavy reliance on carbon fiber in the body. The risks have paid off as the i3 has a months-long waiting time and BMW already has sold out its first year of production for the i8 supercar. The combination of sheer driving pleasure and minimal or zero emissions is attracting something all automakers want: first-time customers for the brand.